Fight Network is a 24/7 television channel dedicated to complete coverage of combat sports. It airs programs focused on the entire scope of the combat sports genre, including live fights and up-to-the-minute news and analysis for mixed martial arts, kickboxing, professional wrestling, traditional martial arts, boxing, fight news, as well as fight-themed drama series, documentaries and feature films. 5:00 p.m. ET – Fighting Spirit MMA Season 4 – Compilation of international fights from SFL, Legend, FFC, M-1 and more. 6:00 – p.m. ET – USA Wrestling Weekly – Host Scott Casber gives weekly news and analysis centering around USA Wrestling, the sport’s national governing body, including interviews, features and a look back at the past. 6:30 p.m. ET – Judo Budapest Grand Prix 2014 – Highlights from Judo Budapest Grand Prix fromJune 21-22, 2014 in Hungary. 7:00 p.m. ET – 5 Rounds – Hosts John Ramdeen and Robin Black invite special guests to break down the weekend of MMA action. 7:30 p.m. ET – Fight News Now Extra – The latest news, recaps, features and inside analysis of the fight game. 8:00 p.m. ET – GFC 3: Aerts vs. Cooper– Kickboxing from May 29, 2014 in Dubai, showcasing Peter Aerts vs. Dewey Cooper and Fatih Ulusoy vs. Singh Jaideep. 1:00 a.m. ET – Toe 2 Toe with Thiago Alves – Sit-down interview with Brazilian UFC welterweight star Thiago Alves. 1:30 a.m. ET – Hip Show: Arena Combat – Tag-team MMA inside a 12m by 12m arena with three-level obstacle structures. 2:30 am. ET – XPTV – Coverage of regional U.S pro and amateur MMA. 4:00 p.m. ET – 5 Rounds Today – Video podcast with John Ramdeen and Robin Black breaking down a wide array of topics in the MMA world, including previews of upcoming events and all the latest rumors and headlines. 7:00 & 7:30 p.m. ET – Xtreme Fighting Championship – Florida-based professional MMA featuring top American prospects, international stars and UFC veterans. 8:00 p.m. ET – 5 Rounds – Hosts John Ramdeen and Robin Black invite special guests to break down the weekend of MMA action. 8:30 p.m. ET — Fight News Now Extra – The latest news, recaps, features and inside analysis of the fight game. 9:00 p.m. ET – Legend 3: Pour Homme – Featuring hybrid MMA/kickboxing action from Apr. 5, 2014 in Milan, Italy, including Armen Petrosyan, Andy Souwer and Pavel Zhuravlev and Paul Daley. 12:00 a.m. ET – BAMMA USA: Badbeat 9 – Featuring Mikey Gomez vs. Ronald Lebreton Jr. and Ernest Chavez vs. Jorge Valden from May 31, 2013 in Commerce, CA. 3:30 p.m. ET — Fight News Now Extra – The latest news, recaps, features and inside analysis of the fight game. 6:00 p.m. ET – Best of Cage Rage – Featuring classic fights from the UK-based Cage Rage organization with Anderson Silva, Antonio Silva, Victor Belfort, Paul Daley and others. 7:00 p.m. ET – Fight News Now Extra: MMA Edition – Covering all the happenings in the MMA world with exclusive analysis and features. 7:30 p.m. ET — Fight News Now Extra – The latest news, recaps, features and inside analysis of the fight game. 8:00 p.m. ET – Cage Warriors Fighting Championship 70 – Featuring Joseph Duffy vs./ Damien Lapilus from Aug. 16, 2014 in Dublin, Ireland. 10:30 p.m. ET – Hip Show: Arena Combat – Tag-team MMA inside a 12m by 12m arena with three-level obstacle structures. 11:00 p.m. ET – MMA Meltdown with Gabriel Morency – Gabriel Morency breaks down all the happenings in MMA, discussing odds, predictions, plus special weekly guests and exclusive interviews. 11:30 p.m. ET – TakeDown Wrestling – Extensive coverage of amateur wrestling events, including the latest news, behind-the-scenes coverage from events and exclusive interviews. 1:30 a.m. ET – Ultimate Challenge MMA 2: Unbreakable – Featuring Mohamed Khacha vs. Mark Weir from Feb. 7, 2009 in London. 6:00 p.m. ET – Championship Fightling Alliance – Pro MMA from Florida featuring the likes of Josh Sampo, Mike Kyle, John Howard, Sean McCorkie, Luis Palomino and others. 7:00 p.m. ET – Fighting Rookies – Aspiring kickboxers climb the ladder of success in the sport as rookies compete for a chance to become professionals and get experience needed to succeed at a higher level. 8:00 p.m. ET – Fight News Now: MMA Edition – Covering all the happenings in the MMA world with exclusive analysis and features. 9:00 p.m. ET – DEEP: DREAM Impact 2014 – Featuring Satoru Kitaoka vs. Yoshiyuki Yoshoida from Dec. 31, 2014 in Saitama, Japan. 12:00 a.m. ET – It’s Showtime Special – The world’s premier kickboxing organization featuring Badr Hari, Melvin Manhoef and Giorgio Petrosyan. 2:00 a.m. ET – Pancrase Classics – Classic pioneering MMA battles featuring Ken Shamrock, Frank Shamrock, Bas Rutten, Nate Marquardt, Chael Sonnen and others. 4:00 a.m. ET – Best of DEEP – Featuring class fights from the historic Japanese DEEP promotion including Shinya Aoki, Hayato Sakurai and Gegard Mousasi. 5:00 a.m. ET – Best of Jewels – Classic fights from the all-female Japanese MMA league, Jewels. 2:00 p.m. ET – M-1 Challenge 56 – LIVE MMA action featuring Vyacheslav Vasilevsky vs. Ramazan Emeev for the M-1 Challenge middleweight title from Moscow. 7:00 p.m. ET — Fight News Now. MMA Edition – Covering all the happenings in the MMA world with exclusive analysis and features. 8:00 p.m. ET – Toe 2 Toe with Rashad Evans – Sit-down interview with former UFC light heavyweight champion Rashad Evans. 8:30 p.m. ET – Hip Show: Arena Combat – Tag-team MMA inside a 12m by 12m arena with three-level obstacle structures. 9:00 p.m. ET — KSW 12 – Featuring Vitor Nobrega vs. Aslambek Saidov, plus Dean Amasinger, Konstantin Gluhov, Daniel Omielanczuk, asnd Karol Bedorf from Dec. 11, 2009 in Warsaw, Poland. 1:00 a.m. ET – SuperKombat: New Heroes Sao Paulo 2013 – Featuring Felipe Michelette vs. Edson Lima, Thiago Michel vs. Miodrag Olar and Alex Pereira vs. Cesar Almeida from Mar. 23, 2013 in Sao Paulo, Brazil. 6:00 a.m. ET – Best of TKO – Featuring Georges St. Pierre vs. Pete Spratt from TKO 14. 7:00 a.m. ET – Best of Gladiator Challenge – Featuring Urijah Faber vs. David Velasquez from Gladiator Challenge 27. 5:00 p.m. ET – Ring of Combat 45 – Featuring Phillipe Nover vs. Mike Santiago and Frankie Perez vs. Adam Townsend from June 14, 2013 in Atlantic City, NJ. 7:00 p.m. ET – TakeDown Wrestling – Extensive coverage of amateur wrestling events, including the latest news, behind-the-scenes coverage from events and exclusive interviews. 9:00 p.m. ET – M-1 Challenge 56 – Featuring Vyacheslav Vasilevsky vs. Ramazan Emeev for the M-1 Challenge middleweight title from Apr. 10, 2015 in Moscow. 6:00 a.m. ET – Pancrase Classics – Classic pioneering MMA battles featuring Ken Shamrock, Frank Shamrock, Bas Rutten, Name Marquardt, Chael Sonnen and others. 10:00 a.m. ET – Best of ADCC – Featuring compilations of the greatest grappling matches ever held, featuring Tito Ortiz, Matt Hughes, Eddie Bravo, Fabricio Werdum, Marcelo Garcia, Ronaldo Souza and Royler Gracie. 11:00 a.m. ET – Elite Muay Thai: Thailand vs. Challenger – The biggest Muay Thai series in the world featuring premium international stand-up fighters takingon the renowned Thai National team. 7:30 p.m. ET – Judo Ulaanbaatar Grand Prix 2014 – Highlights from the Judo Ulaanbaater Grand Prix from July 4-6, 2014 in Mongolia. 11:00 p.m. ET – King of Kings– Grand Prix 2014 in Vilnius. ABOUT FIGHT NETWORK: Fight Network is the world’s premier combat sports network dedicated to 24/7 coverage, including fights, fighters, fight news and fight lifestyle. The channel is available in the U.S. on Cablevision in parts of New York, Connecticut and New Jersey, Texas-based Grande Communications, Armstrong Cable in Pennsylvania and eastern Ohio, as well as on Shentel Cable in Virginia, West Virginia and portions of western Maryland. 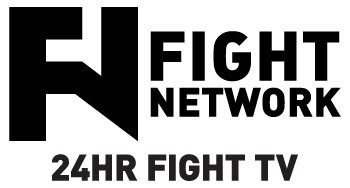 Fight Network is also on Roku set top boxes in the U.S. and Canada, streamed live on website KlowdTV.com, and available on all major carriers in Canada and more than 30 countries across Europe, Africa and the Middle East.